PODCAST: Mr. President, Release the 28 Pages! 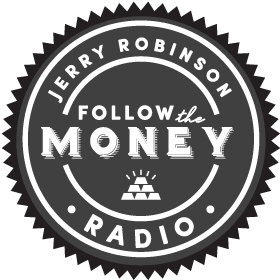 Welcome to this week’s edition of Follow the Money Weekly Radio! 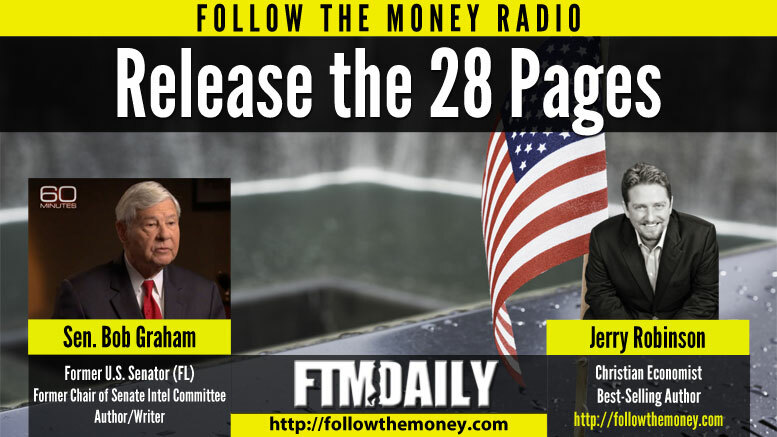 On this week’s broadcast, Sen. Bob Graham joins Christian economist Jerry Robinson to call for the release of the secret 28 pages from the 9/11 Commission Report. Enjoy the show! Christian economist Jerry Robinson opens today's show with his cutting-edge analysis of the latest tensions between the U.S. and Saudi Arabia. Is the U.S. military nothing more than a Saudi Arabian protectorate? If the 28 pages prove Saudi government involvement in the attacks, the Iraq War may finally be viewed for what it was… A war crime based on faulty evidence while suppressing the real evidence of the Saudi role! 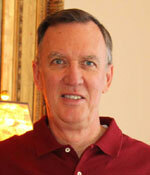 Listen as Jerry Robinson exposes the truth and why it matters to you! Victim's wife: U.S. "siding with Saudi Arabia over the 9/11 families"
In this segment, Jerry is joined by former U.S. Senator and Chairman of the Senate Select Committee on Intelligence, Bob Graham. Senator Graham has been a leading voice in the movement to declassify the classified 28 pages on foreign government ties to 9/11. Graham is one of the handful of officials who have read the 28 pages, and he is working tirelessly to educate the public on the importance of the release of these 28 pages. Did you or any of your colleagues in the Senate ever feel pressured to be “pro-Saudi” against your better judgment? Will you be satisfied with a partial release of the 28 pages? Should families of 9/11 victims be allowed to pursue damages from foreign governments through the legal system? How valuable is Saudi intelligence in protecting our national interests, and is it worth protecting Saudi Arabia in its alleged involvement in 9/11? Plus, Senator Graham tells a chilling story about how he and his wife came face-to-face with the FBI asking him to stand down in his message about 9/11. Luckily, he did not back down, and we are honored to have Sen. Graham here to share his compelling message. Read a partial interview transcript below. 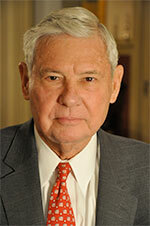 Jerry Robinson, Host: Joining me on the line today is Senator Bob Graham. He is an American politician and author, the 38th governor of Florida and a former United States senator that left Washington in 2005. During his time in Washington, Senator Graham was able to serve as the chairman of the Senate’s select committee on intelligence from 2001 through 2003. He also co-chaired the congressional inquiry into the attacks on 9-11, and most recently has been seen in the news, for example, on 60 Minutes, calling for the release of the secret 28 pages from the 9-11 Commission report. Senator Graham, welcome to Follow The Money radio. Senator Bob Graham: Thank you very much, Jerry. I appreciate the invitation. JR: It’s our honor completely, Senator Graham. Since you have left office in 2005, you have been tireless in your crusade to wake up the American people to the truth of the events that happened on 9-11. You have written books about your concerns over Saudi Arabia’s role in financing global terror. And now, you have been pushing for many, many years for the release of the secret 28 pages that have been withheld from the public’s view within the 9-11 Commission report, which you say does document, and of course you have to be very careful how you say it because it is classified material, but you have alluded to the fact that it does talk about Saudi Arabia playing a role in the financing of 9-11. Why do you believe, Senator Graham, that all of this that we’ve known about for 15 years, is just coming out right now? BG: I think there are a number of factors, Jerry. One is that it has been 13 years that these 28 pages have been locked up out of public view. People are beginning to ask what aspect of national security or any other reason for initially holding these could still be true? Another factor is that that our relations with Saudi Arabia have started to go south. We’re less dependent on Saudi Arabia for oil as a result of the development of our own domestic capabilities. Saudi Arabia has continued to support terrorists financially and through their Mosques and schools called madrasas, training young Saudis to be the next generation of terrorists. All those things have contributed to a new environment for the relationship between the United States and Saudi Arabia, and increased the public’s desire to know the truth about what happened back at 9-11, and what that proof might say about our current experiences with Saudi Arabia. JR: Senator, you have read the secret 28 pages as have other government officials who share your clearance level, and obviously, it motivates you. 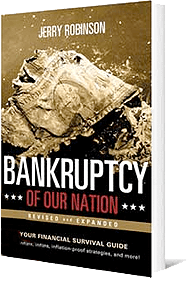 Those who have read the 28 pages and have stated something about it afterwards have stated that basically, it’s a paradigm shifting read, that, in essence, the history that we understand about 9-11 is different when you have access to these 28 classified pages that the Bush administration classified back in 2002 from the eyes of the American people. So, we know that it motivates you, it motivates your efforts. But, we as the American people, we have never been able to see those pages. Now, we’re hearing that we may get a release of them by June, and the rumors that I’m beginning to hear from my sources are that they will be very heavily redacted releases, or parts of it, in essence. So, my question to you is, would you be satisfied, Senator, with parts of the report being released while some other crucial details within those pages may remain classified? And those redactions, of course, would be determined by the present executive branch. How does that sit with you? Are you satisfied with that? BG: Jerry, it’s hard to answer that question without knowing what they redacted. If there were items that appeared to be clearly sensitive that might affect US foreign policy or military relationships, sure. There were lots of redactions in the other 820 pages of the final report. But, if it’s just an attempt to continue to cover up the involvement of individuals in assisting the 19 hijackers, then that would be just as unacceptable as the 13 year delay in releasing this information to the American people has been unacceptable. Precious metals advisor Tom Cloud joins Jerry Robinson to discuss the latest market events impacting the price of gold and silver.